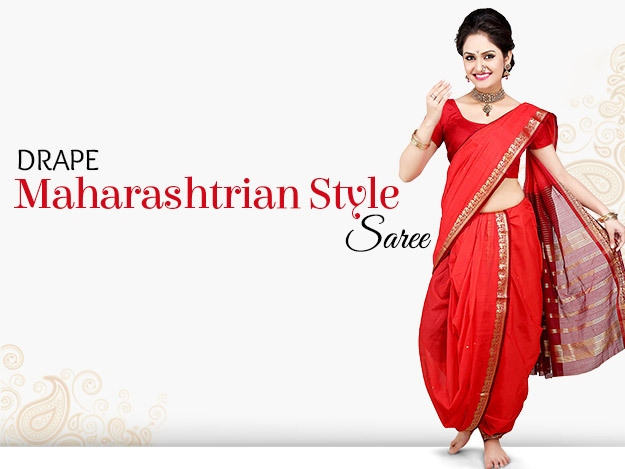 Now, let’s introduce you to the Maharashtrian style of wearing a saree. With its distinctive style of draping, it accentuates the body while highlighting a rustic upcountry charm. 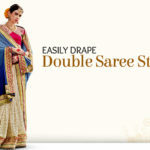 Owing to its uniqueness, the general question about the Marathi style Saree wearing is how to drape the Saree? We help answering it in a few simple steps. 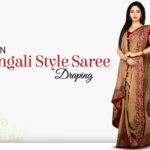 Hold one end of the Saree and wrap a full circle around the waist. Taking few inches of both side edges, tie a knot around the waist center. Hold the shorter end at the bottom, bring it back under the legs and tuck it in the center back. 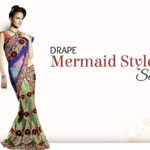 Now, take the untied portion of the Saree and make 5-6 pleats and tuck it in around the waist center. Bring the pleats from around the back to the front, place it over the left shoulder and pin it up neatly. Wear cycling shorts instead of inskirt for this drape style. Make sure to tie a tight knot around the waist center. Since, our footwear recommendation for this drape is flat-heels, you can always slip them on after the drape. Keep a few clamps and safety pins handy for quick pin-ups. Be ready with basic make-up. 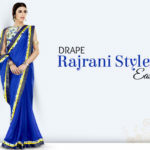 Sarees most suited for this style are all types of Silk and Paithani Sarees. They are coveted heirloom and the most popular of varieties from Maharashtra. Hand crafted from exquisite silk, these are known for their Pallu designs which are adorned with various distinctive Indian Ethnic motifs.